Suites of 96 m2, in View Talay 7, magnificent sea view (20th floor). Consisting of 2 twin studios, ideal for family with children or two couples. Available for holiday or long term, a beautiful swimming pool. Apartment waterfront and breathtaking view over the Gulf of Thailand. Direct access to the beach (100 meters) and 5 minutes from downtown Pattaya. 24-24hrs security, cctv video sécurity, restaurants, supermarket, laundry. Bank, large car park, rental car and motorcycle taxis. 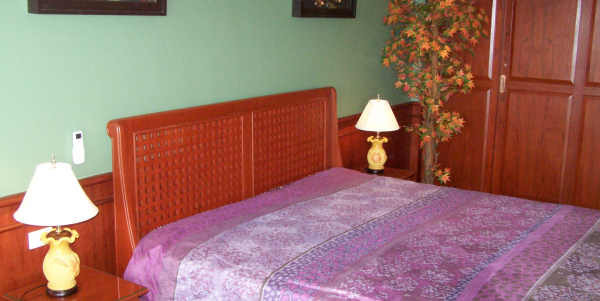 Comfortable: terrace, air conditioning, 2 LCD cable TV, 2 DVD players. 2 king size beds, living room, curtains "sunblock ", sheets, towels. 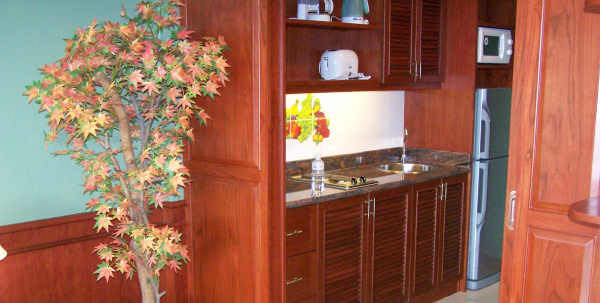 Teak furniture, refined decoration, safe with personal code, dining corner. 2 beautiful bathrooms, shower in safety glass, hot water storage. Slide doors separate the rooms from the kitchens. The king size bed and the closet of the studio. Copyright 2011 www.pattaya-location-beach-front.com - achievement "website25.fr"